Hi Guys! You ask and I make! 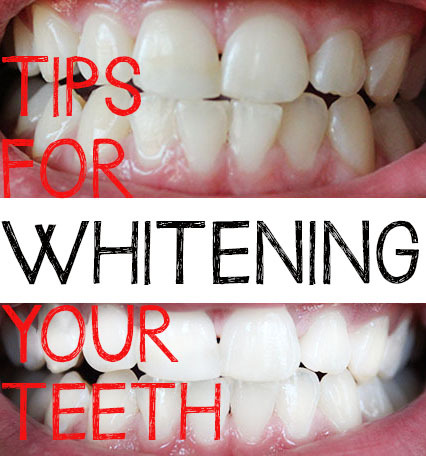 • how do you whiten your teeth? •what do you use to bleach your teeth? 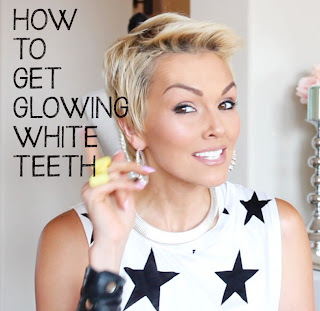 •can you do an updated video on your teeth whitening? So, I made a video about what I have used to whiten my teeth lately, and some tips for whitening, and we are going to show you a how I whiten my mom and Jordan's teeth too! *According to a study, 18% of people try to hide their teeth in photos. I want everyone to feel confident in their bright smiles and smile away! Having white teeth makes you look younger, makes even teeth that aren't perfectly straight, look better, they make you smile more (it really does! No one wants to show off their "pearly-yellows"! *Always make sure you floss. 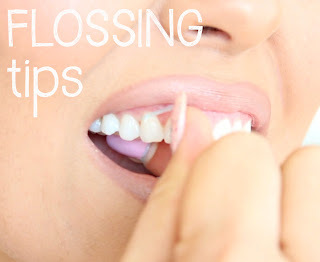 Flossing will remove plaque, tartar, or even left over food in between your teeth, that will prevent the whitening / bleaching product from being able to whiten your teeth. HOW TO PREVENT COFFEE, WINE, TEA, OR SODAS FROM STAINING YOUR TEETH? *Make sure you drink your Iced Tea, Iced Coffee, or sodas through a straw. It will minimize the amount that will coat the front of your teeth with it's staining effects. *Try to drink your soda, coffee, iced tea, all at once. Sipping throughout the day will continue to caot your teeth with the "white-teeth-damaging" effects of these drinks. HOW TO PREVENT SMOKING FROM STAINING YOUR TEETH? 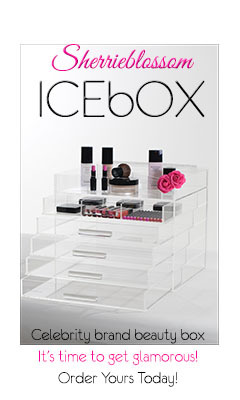 Oh, man, there's no tips on how to do this. I'm don't smoke, but I know people who do, and one of the side effects of smoking is yellowing or "browning" of your teeth. *Eating raw fruits and vegetables which are naturally abrasive, will help keep your teeth white also. Apples, carrots and celery and other fruits and veggies, which require more chewing will also help produce more saliva which will neutralize the acids from wine or citrus fruits. *Can Strawberries or Bananas whiten your teeth? I've heard and seen "home teeth whitening tips", where people rub strawberries or banana peels on their teeth. 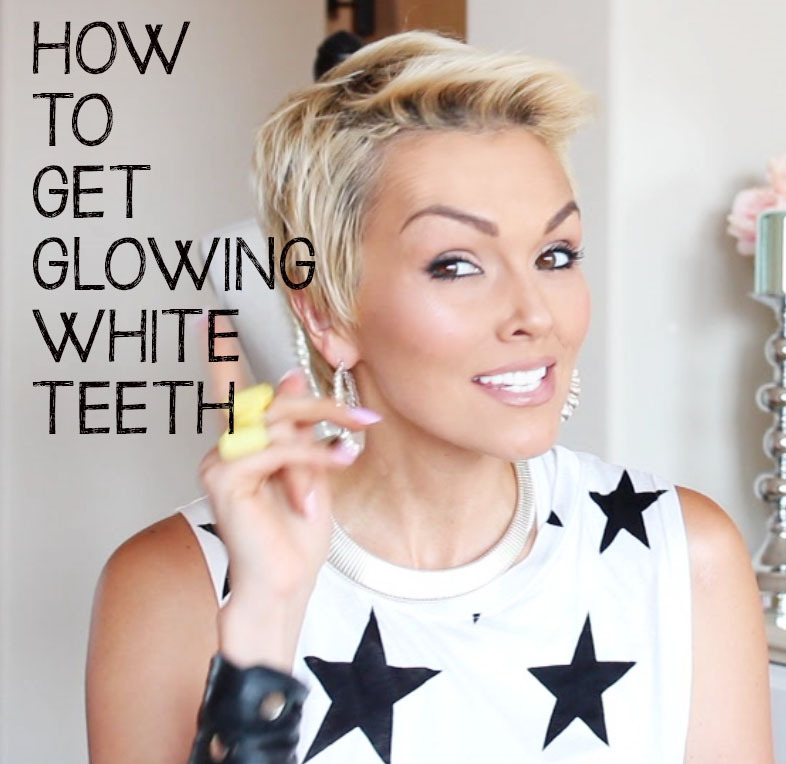 This is not going to give you dramatically whiter teeth. It may remove some of the plaque on your teeth because they are slightly abrasive but again, you're not going to see any dramatic levels of tooth whitening. But they are a healthy choice for a snack! *Can lemons or Apple Cider Vinegar whiten your teeth? Many people have come up with DIY concoctions to whiten their teeth and post them on line! Be very careful with these. Lemons are very acidic and Apple Cider Vinegar are both very acidic and can really damage the enamel of your teeth. I know of people who have permanently damaged their teeth, with weird white spots on their teeth from putting lemons directly on your their teeth. *What About using Hydrogen Peroxide and Baking Soda to Whiten Your Teeth? Sure you can mix Hydrogen Peroxide and Baking Soda into a paste and the gritty texture will feel like what they polish your teeth with at the dentist, but this is more to maintain whiteness, this is not going to give you any kind of dramatic whitening causing anyone to notice or comment that your teeth look whiter. I've used them. I have some in my bathroom. But I will warn you, out of all the teeth whitening I've done to my teeth since i was a teenager. The whitening strips have caused the most sensitivity. One time it was so bad it hurt to breathe in or even drink water. But they do change their formulations, whether that's good or bad, so just try them with caution!